There is no better kind indeed! Thank you for sharing, Laura. You have just describe the relationship I have with my “one and only sibling”, my best friend in the whole world… my sister, Sharold. Only, I am Debbie… the sister who is married to an Air Force member (now retired) and moving around the world- state by state and country by country. We used to put in our transfer requests based on how close to California (where she has resided since she turned 18) we could get. Now retired in NY, we live so far away. I miss her every single day of my life and count the days (each year) when we will get together. Visits are never long enough or frequent enough but they sure are jam packed with love and “milk out the nose”, laugh until your cheeks ache and your sides hurt, stay up way to late time! There really is nothing better than a SISTER! I just love your description, Kim. What a beautiful gift you and Sharold so obviously share. Thanks for giving us a glimpse of the powerful bond you share, and how powerfully you cherish it. Jeez Louise, Donna! Another amazing article that made me cry…missing my sister. awww… thank you, Karen! We both got blessed with amazing baby sisters! You have just shared what I call “A Prayer answered” It was always my prayer and always will be that my girls are as close as you ARE to each other. Thanks for sharing, Donna. You made my day so special. I love you both so much. I’m glad to have made your day so special, Momma. You should know that whenever Debbie and I get together, we ALWAYS call Mark so it’s like he’s right there with us, too. Thank you for raising us to love one another so beautifully! awww…Kelly!! You can come be our sister ANYtime!! Plus, we may as well start planning L&J’s wedding early! Finally reading this after being on vacation all week. Your words have always been able to paint a picture for me!! And I love it!! I am calling both my sisters today!! 🙂 We drove thru Knoxville on our way home Saturday and had a 2 hour lunch with Karen…. and my heart has been aching ever since… I wish so badly that she lived closer!!! Thanks for sharing!! I love you! 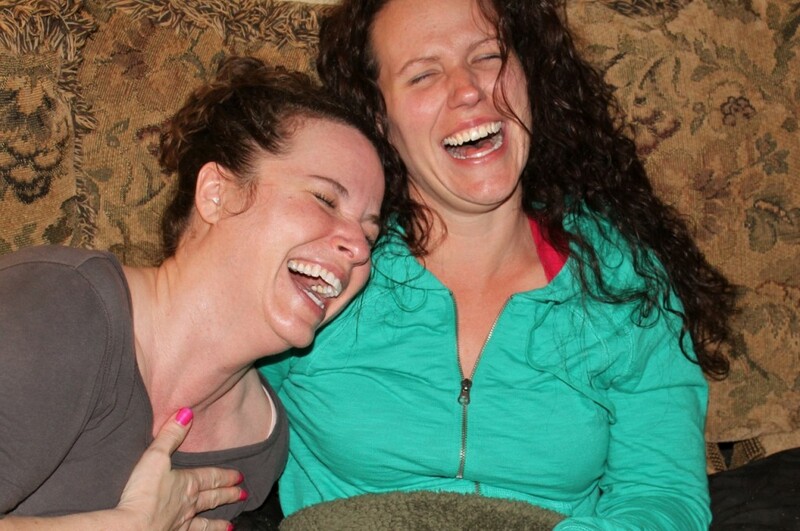 As your sister noted above, there is no laughter like the laughter of a sister (with or without “Funny Shows”!) And you have two very beautiful ones, Jules. What a blessing to share such a bond. I love you, too. I’m so glad, Meghan. ….I had a feeling it would! There is simply nothing that compares to a sister bond, especially when engaging in laughter. There’s just some stuff only sisters can understand.